Data Scientist is rated the best job in America for 2017, with a median base salary of $110,000 (Source: Glassdoor). Careers include data scientist,data engineer, data analyst, statistician, data manager, data architect, business analyst. 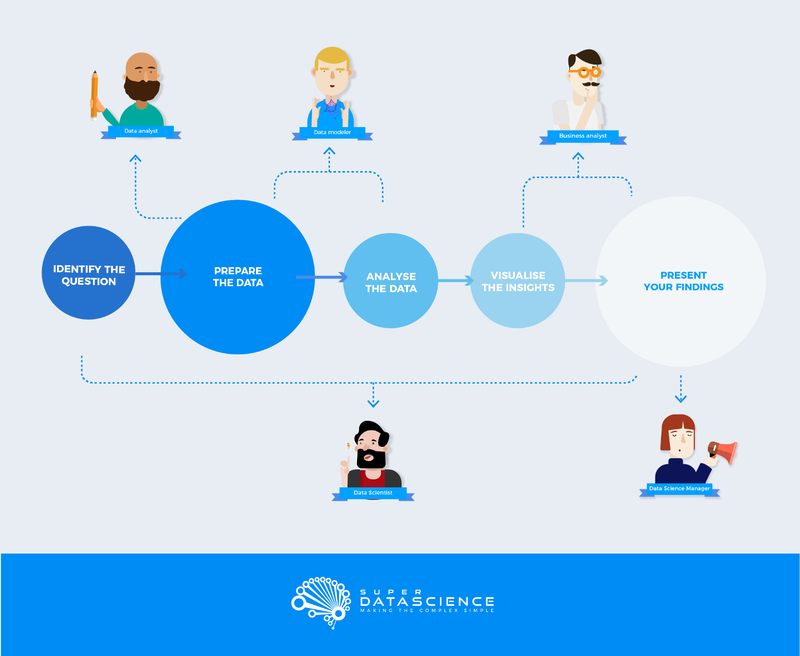 Why Data Scientist? As a economist who has bachelor degree (finance, banking and insurance) at Faculty of Economics, University of Belgrade and MBA ( Leader Project) at Ivey Business School, I didn’t want to throw away my years of studying to become “course programmer”. As I am Marketing Manager for 2 years at my startup Petrucci Elegance and also at Youth Business Forum I know that I am not born to work in the bank. I go to every meetup in Belgrade at Ict Hub, Startit and Impact Hub (topics about digital marketing, entrepreneurship, it, data science, AI). Also I am person who learns new things every day, never give up and has big hunger for knowledge. I read 1500 words in one minute,and in 2017 I read 50 books. Did you know that average person read 400 words in one minute, and read about 50 books in whole life? Tech and startup community in Belgrade is so strong and big and I really love it. I was always different from others so these community is awesome place for me. I wanted to become part of IT sector, and I didn’t know where to begin and what career path is for me. So Data Science become perfect career path for me. There are aproximately 215,000 open job positions in Data Science (Source: Indeed.com). There are currently about 31,000 openings for Statistician positions in the US (Linkedin), offering an average salary of $77,000 (Glassdoor). I asked my friend Slavo and my mentor now what I should do in my career. He knows me very well and he said you are born for Data Scientist. So I accepted 6 months challenge to become TOP Data Scientist. Here is my ROAD MAP from January to August 2018. My mentor Slavo make it for me and he supports me on daily basis. Every day watching KirillEremenko Super Data Science and podcasts. As you can see after, most of my courses are Kirill courses and also Hadelin de Ponteves. I really love their way of explaining everything and so far they learned me a lot for these 19 days in 2018. I had to watch it that day in whole. The course is awesome. Kirill Eremennko and Hadelin de Ponteves really knew how to explain complex things so easy. 5. On the 26th I have to learn this courses by the end of the January. 7. Open my Kaggle account and start competing in Data Science. 8. Learn Tableau basics and exercise with real data three days a week. I really love Tableau and I decided to exercise it every day. I read somewhere when you work on something every day only for 1 hour you will be master in that field in two years. Isn’t that awesome? I decided to exercise every day Tableau for 1 hour as I said prevously. So I bought all courses from Kirill Eremenko and Super Data Science. I want to master it because I really like Tableau and data. Also at my Faculty we have marketing research where we used SPSS. I got A score and really like that data. So Tableau is really awesome and something I see myself doing every day at my future work as a Data Scientist. Part of my #6monthschallenge is also to write blogs every week about my everyday progress in Data Science road map. I will write every week one blog how was my previous week. 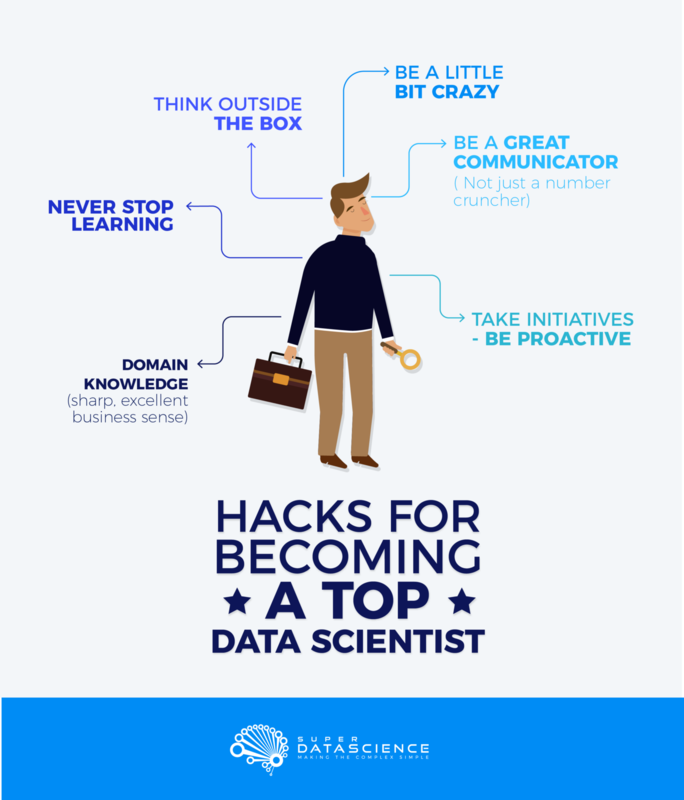 I will write about these courses, about my struggles and everything on the road map to become a Top Data Scientist. This way I want to help others who want to become a Data Scientist or doesn’t know how to begin his/her career path. I will write honestly about everyday challenges, working hours and learning new things in Data Science. Also I am writing this to motivate myself to stay on the path and to motivate others to begin their career in Data Science. I used info graphics from my courses from Kirill Eremenko and Super Data Science.